Posted December 9th, 2013 by michaelkay & filed under Articles. Beautiful people, luxurious weather, hot attraction destinations, and many of the most exquisite homes in Southern California makes the city of Malibu a home owner’s paradise. “The development of Malibu was started with the sale of the La Costa area for $6,000,000 in 1928. 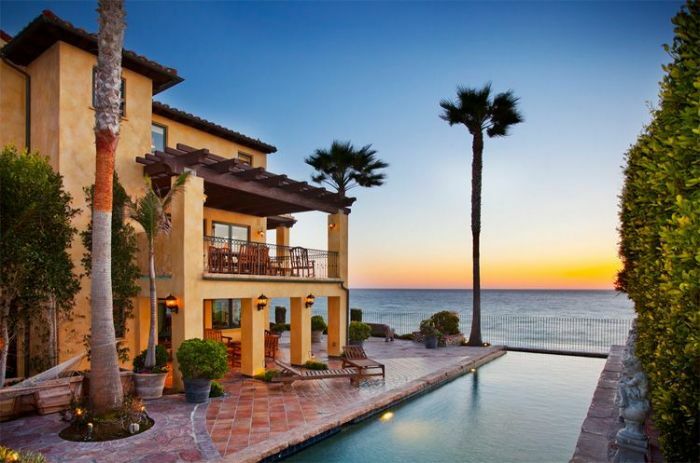 To set the tone for the upcoming sales the Malibu Colony was leased to the movie stars. Rapidly, the area became known as the Malibu Movie Colony” (http://www.ci.malibu.ca.us). Today, celebrities such as Julia Roberts, Mel Gibson, Beyoncé Knowles, and Janet Jackson have taken advantage of what Malibu has to offer for its home owners. The combination of the breeze from the ocean, the elevation from the hills, and California’s sunny weather all contributed to forming Malibu’s reputation for its gratifying weather. The hills by the beach allow the homes nearby to have a view of the ocean without blocking the ocean view from their neighbors. Thus, most properties in this location are one of the most expensive homes in Southern California. Advanced Group Property Inspection Company has conducted property inspections in Malibu, CA since 1994 and has become very familiar with the condition of the properties in the 23 mile radius. Malibu is stationed on the perimeter of an extensive shrubbery wilderness area, the Santa Monica Mountains National Recreation Area. Environmental elements collectively create a recipe for natural disasters. The mountainous and geologically unstable terrain, steep clay slopes, and seasonal rainstorms result in mud/landslides and other natural disasters. Advanced Group Property Inspectors take this information into account when conducting an inspection and focus on these elements to accurately inspect a property in Malibu, CA. The mud/landslides and collection of water during floods can damage a property’s foundation. In addition, the movement in the soil can cause damage to the structure of the property. Foundation and the structure of a property is one of the most important fundamentals to sustaining a safe standing building. Have an experienced inspection company conduct a property inspection to better understand the stand point of your home. Schedule your inspection with Advanced Group Property Inspection Company and work with the professionals from this industry. Yelp’s #1 Rated and delivered with love since 1994.